We are literally frying in negative electromagnetic energy emissions from pylons, electrical substations and telecommunications masts. Look around your home, children's school or work place and what do you see? At best a few electrical cables or telecommunication wires. At worst lines of pylons buzzing with electricity, a substation humming with a high concentration of electricity pouring through it, or a mobile phone mast blasting out microwaves.The negative radiation from such sites can have a profound effect on our health and well being with the potential to trigger major illness or at the very least result in tiredness and stress. 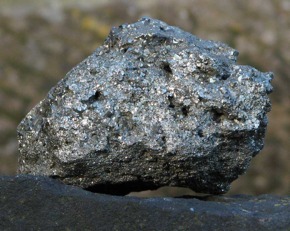 This leaflet explains how to plant programmed pyrite chispas by these structures to absorb the associated negative energy emissions thus negating their negative effects on health. It also covers the importance of wearing or using programmed amethyst to provide personal protection against negative environmental energies. For anyone wishing to programme and plant their own pyrite chispas for this purpose an action sheet is available to download. To plant crystals in this way is simple, inexpensive and open to all, yet the positive change it can bring about to the lives of many are huge.